“Be firm, Be Fun” with this new Tagline – TVS has come up with a brand New TV Ad featuring its latest All-New Scooty Zest 110. The 1 minute Scooty zest ad is well made with a pretty good theme – The New Year resolution. It is all about how a young girl takes up her regular life keeping the “To-Do” New year resolutions in mind. The Scooty zest commercial is well targeted for the female Indian audience. Talking about this bike, It is a light weight scooter specially made for girls sporting a 110cc engine. 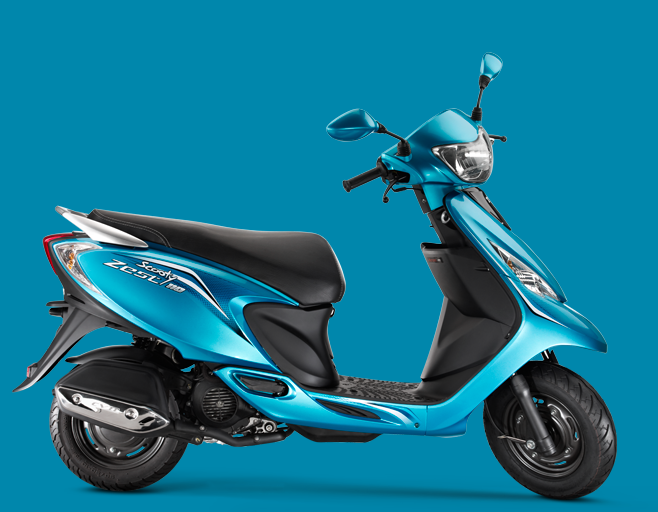 TVS Scooty Zest 110cc is priced at 44,800 INR (Ex-Showroom Bangalore) . This pretty scooter is available in 3 different colors:- Terrific Turquoise, Powerful Pink and Daring black. Drum brakes for both front and rear wheels.